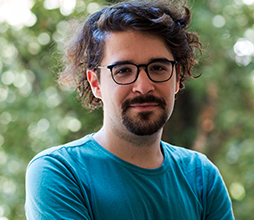 Karlo is a PhD student in Political Science and Sociology at the Department of Social and Political Sciences of the Scuola Normale Superiore in Florence, and a member of the Center on Social Movement Studies (COSMOS). His doctoral project investigates dynamics of (de)politicization of activism in post-communist context, with particular focus on movement - party transformations. He holds an MA degree in political science from the University of Zagreb. In his MA thesis, Karlo investigated meaning-making and perceptions of party politics among non-governmental organizations in Croatia. From 2010 to 2017 Karlo was an activist of several organizations, including Croatian Youth Network and Center for Peace Studies, where he took part in a range of public activities. Sadržaj web stranice objavljen je pod CC BY-NC-SA Creative Commons licencom.